Implementation of the Labour Court’s recommendation on the nurses dispute will cost €10-15 million this year and €30-35m next year, according to Minister for Finance, Public Expenditure and Reform, Paschal Donohoe. However, he noted that these figures were after productivity savings set out on the deal were factored in. He said the Labour Court document set out four different areas of productivity savings that would enable movement into the different nursing grades. The minister said that the re-allocation of funding destined for new entrant pay restoration would also make a significant contribution to the funding of the agreement. Asked if he was confident he had a ‘bulletproof’ guarantee there would be no knock-on claims from other unions, Mr Donohoe said how other unions responded to the nurses' agreement was a matter for those unions. He said it would not be appropriate for him to comment on how they would evaluate it. He was also asked whether he was contemplating imposing penalties on the nursing unions for breaching the Public Service Stability Agreeement (PSSA) by taking industrial action as happened to the ASTI when its members did so. Mr Donohoe said he was not currently planning to make that decision because there is a process under way in relation to the nurses' agreement. The Labour Court recommendation issued to the Health Service Executive and nurses’ unions last night included a new grade being created. The Enhanced Nurse Practice Grade is a pay scale that is higher than the existing scale, by an average €2,000 to €2,500, or around 7%. It will range from €35,806 to €45,841 per annum. Nurses would be eligible to apply for the enhanced grade after four years' service. It is being viewed as phase one of what is been seen as a fundamental change in the role of the Staff Nurse. There will also be more provision for Advanced Nurse Practitioners (ANP), who have the ability to do additional tasks. The recommendation says around 2% of the nursing cohort should be in this ANP grade. Furthermore, there is to be a review of all nursing practice some time in 2020, towards the end of the current pay deal. However, there will also be a new contract to provide for new approaches to managing healthcare, and effectively these are the quid pro quo provisions; these will be the supports and productivity measures that will go towards funding and facilitating the new care under the new framework. The new contract is to be agreed within three weeks. It will provide for matters such as shifting work to the community, co-operating with the introduction of more healthcare assistants, and new approaches to managing chronic conditions. Minister for Health Simon Harris has described the recommendation reached at the Labour Court as "balanced, fair and would help support nurses and midwives". Speaking this morning, he said he welcomed the nurses’ decision to suspend their industrial action and said they had "engaged constructively" with the HSE and Government departments. SIPTU members in health and other public services are to also consult on the implications of the Labour Court recommendations. The union's deputy general secretary, John King, said SIPTU have "noted the statement by the Government that the proposals outlined in the Labour Court recommendation are consistent with the terms of the Public Service Stability Agreement". However, in a statement he added that the union would be consulting widely with members both within the health division and across the public service. Meanwhile, the HSE said outpatient clinics would go ahead following the suspension of nurses' strike. Anyone with an appointment is advised to attend. Surgical patients will be contacted by their hospital to let them know if their procedure is going ahead. Emergency departments will be open, but are expected to be very busy. 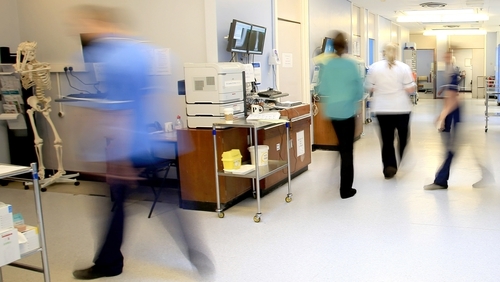 The public is being asked to use emergency departments only if absolutely necessary. Minor injury clinics will be open. More than 80,000 appointments cancelled, due to the earlier three days of action, have to be rescheduled so the knock-on effect of this strike will continue for some time.